Douglas A. Landis, Michigan State University Extension specialist and professor in the Department of Entomology, received the Distinguished Faculty Award, and Jane M. Herbert, senior MSU Extension educator, received the Distinguished Academic Staff award Feb. 12 at the annual Awards Convocation in the Pasant Theatre in the Wharton Center. The awards presentation followed President Lou Ann K. Simon’s State of the University Address. The College of Agriculture and Natural Resources (CANR) honored the awardees with a reception in the Agriculture Hall Atrium just prior to the Awards Convocation. Dr. Landis was one of 10 faculty honored for a comprehensive and sustained record of scholarly excellence in research and/or creative activities, instruction and outreach. Dr. Landis has had joint funding from MSU Extension and MSU AgBioResearch throughout his service at MSU. Douglas A. Landis, Michigan State University Extension specialist and professor in the Department of Entomology, received the Distinguished Faculty Award Feb. 12, 2013, at the annual Awards Convocation in the Pasant Theatre in the Wharton Center. Dr. Landis came to MSU as an assistant professor in entomology 25 years ago. Since that time, he has strived to help people work with rather than against nature. He is author or co-author of numerous refereed research publications in wide-ranging journals as well as author or co-author of many book chapters. He is sought after as a keynote speaker on the topics of conservation biology and the redesign of agricultural landscapes. Dr. Landis has an outstanding granting record notable for its wide-ranging collaborations. He provides inter-disciplinary granting leadership at the highest levels of national competition. As an international authority on the delivery of biocontrol services in agricultural landscapes, his contributions to a fundamental understanding of how landscape patterns structure insect abundance and distributions across entire watersheds has paved the way toward using this knowledge for pest management. understanding their needs. He’s also been innovative in his approach, including the adoption of emerging technologies and helping us to continue improving Extension. 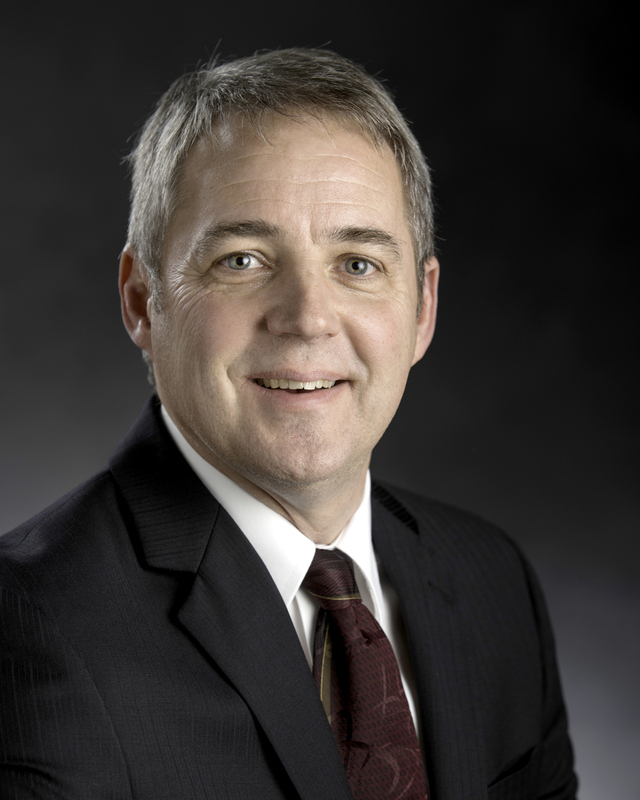 Doug has provided leadership to many collaborations over his career. He shaped the Sustainable Agricultural Research and Education (SARE) program of the U.S. Department of Agriculture. And he has been a member of the management team for the Long-Term Ecological Research program at the Kellogg Biological Station, a remarkable collaboration that began when Doug first arrived at MSU. Jane Herbert was one of four people honored for the award that recognizes the outstanding achievements of academic specialists and MSU Extension academic staff members who serve the university in advising, curriculum development, outreach, extension, research and teaching. Jane is a nationally recognized expert on inland lake management with an emphasis on natural shoreline landscaping and bioengineered shoreline erosion control. 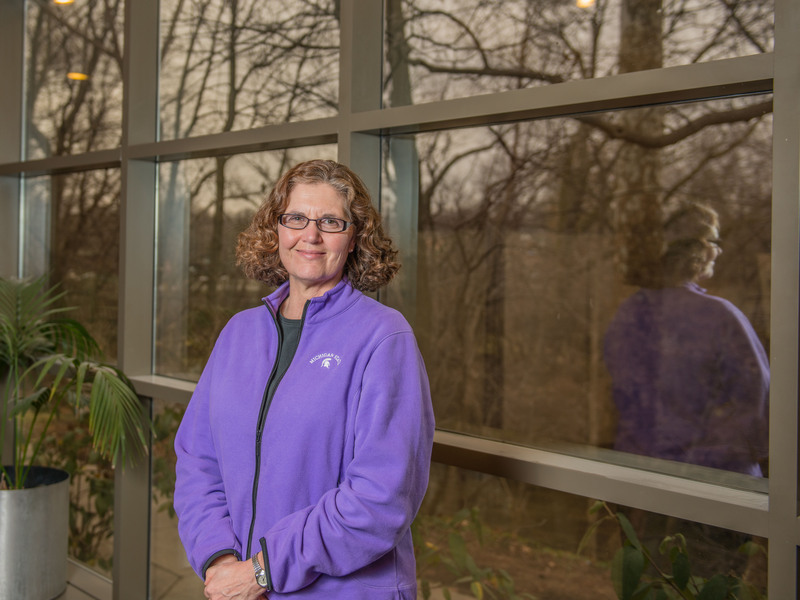 She has been a major asset to Extension in the development, delivery and evaluation of regional and statewide water resource Extension programming since joining MSUE in 1996. As a district water quality educator with the Extension Land and Water Unit at Kellogg Biological Station (KBS), she served the citizens of 17 southwest Michigan counties with innovative water resource programming. Now located at the Kalamazoo County MSU Extension office, she provides statewide leadership for water resource programming within the Greening Michigan Institute and serves as a water resource educator across Michigan. She assumed a leadership role in the creation of the Michigan Natural Shoreline Partnership (MNSP), bringing together academia, industry representatives, regulatory agencies and nonprofits to develop and deliver innovative natural shoreline education. She also provides leadership for the development, delivery and evaluation of required continuing education for MNSP-certified contractors, including the creation of advanced bioengineering field construction experiences and training videos. In collaboration with the Michigan Department of Natural Resources, she led a multi-agency effort to develop a publication (MSUE Bulletin WQ60) to help large quantity water users and others understand the basis for Michigan’s new online Water Withdrawal Assessment Process – the mechanism by which Michigan complies with the Great Lakes Compact. She has published in a variety of natural erosion control and landscape trade magazines, bringing national attention to the technical and community development model of Certified Natural Shoreline Professional (CNSP). She served as lead author and coordinating editor of the CNSP training curriculum, (MSUE Bulletin E3109), which received the 2012 Gold Award for a Long Publication from the Association of Natural Resource Extension Professionals. She has co-authored successful grants totaling nearly $1 million to develop and deliver water resource management programming. Congratulations to Doug and to Jane!